Morris County Prosecutor Fredric M. Knapp announces that Vincenzo Viola (age 39) and Robert Capriglione (age 37) have pleaded guilty to multiple robberies that occurred in Morris and Bergen County in May 2013. The robberies occurred while the Defendants were impersonating police officers. On today’s date, both Defendants appeared before the Honorable Stephen Taylor, P.J.Cr. and entered guilty pleas. Defendant Viola entered a guilty plea to two counts of second-degree Robbery (Count One of Bergen County Indictment 13-10-01404-S and Count Eight of Morris County Indictment 13-08-00922-I). The plea calls for the Defendant to be sentenced to five (5) years in New Jersey State Prison on each of the two counts. At the time of sentencing, the State will be recommending a total consecutive sentence of ten (10) years in State Prison. Each offense is subject to the ‘No Early Release Act’ (NERA) requiring Defendant to serve 85% of the sentence before he is eligible for parole. Robert Capriglione entered a guilty plea to two counts of second-degree Robbery (count one of Bergen County Indictment 13-10-01404-S and count eight of Morris County Indictment 13-08-00922-I). The plea calls for the Defendant to be sentenced to four (4) years in New Jersey State Prison on one count and five (5) years on the second count. At the time of sentencing, the State will be recommending a total consecutive sentence of nine (9) years in State Prison. Each offense is subject to the ‘No Early Release Act’ (NERA) requiring Defendant to serve 85% of the sentence before he is eligible for parole. Defendant Viola’s sentencing has been scheduled for October 30, 2015 before Judge Taylor. Defendant Capriglione sentencing has been scheduled for November 6, 2015 before Judge Taylor. Any inquiries can be directed to Deputy Chief Denise H. Arseneault at 973-285-6262 or [email protected]. Morris County Prosecutor Fredric M. Knapp, Chief of Investigations John R. Speirs, Morris Plains Police Chief Jason A. Kohn, Randolph Township Police Chief David Stokoe and Mountain Lakes Police Chief Shawn Bennett announce their agencies will be acting in conjunction on Saturday, September 26, 2015, joining the 10th Annual Operation Take-Back Day program. Operation Take Back is a collaborative effort between the New Jersey Office of the Attorney General, New Jersey Division of the Drug Enforcement Administration, New Jersey Prevention Network, New Jersey Chiefs’ of Police Association, Morris Plains Police Department, Randolph Police Department, Stop and Shop Supermarket, Mountain Lakes Police Department and the Morris County Prosecutor’s Office. 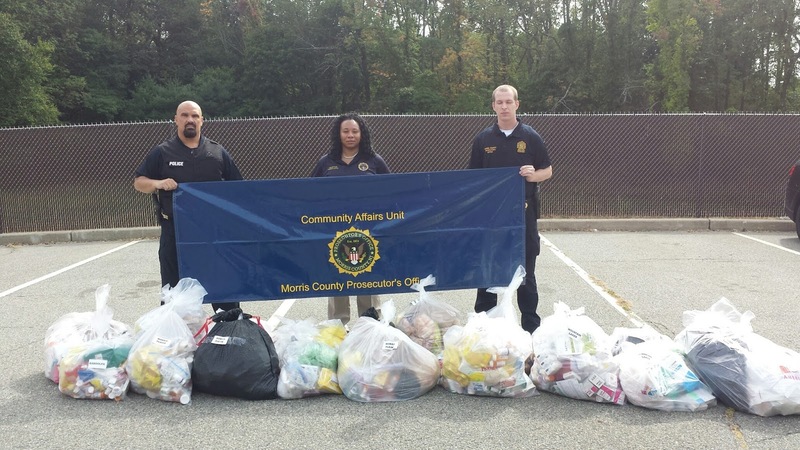 This initiative also includes numerous other drop off sites nationwide and throughout Morris County. To find out if your town is participating in Operation Take-Back, visit www.dea.gov or contact your local Police Department. If you are unable to make this date, you can log onto http://safehealthymorris.org/dropbox/for a list of permanent drop box locations nearest you. If you need additional information regarding this event, contact the Morris County Prosecutor’s Office at (973) 285-6268, (973) 285-6200 or Morris County Prosecutor’s Office Deputy Chief of Investigations Denise H. Arseneault at 973-285-6262 or [email protected]. Morris County Prosecutor Fredric M. Knapp and Township of Randolph Police Chief David Stokoe confirm a fatal shooting that occurred last night at RTSP Shooting Range located at 961 Route 10 east in Randolph, New Jersey. On Saturday, September 19, 2015 at approximately 7:30 p.m. the Randolph Police Department was notified of a shooting that occurred at RTSP. Upon their response, it was learned that a 21 year old male had fatally shot himself while inside the gun range. Although the male was transported to the hospital, he succumbed to his injuries. This matter continues to be investigated, but is considered to be an isolated incident and there is no danger to the community. No other persons were involved in this incident and no criminal charges are expected. Due to the nature of this incident, no further details as to the identity of the decedent will be released. This matter is being investigated by the Randolph Police Department, the Major Crimes Unit of the Morris County Prosecutor’s Office, the Morris County Sheriff’s Office – Criminal Investigation Section, and the Morris County Medical Examiner’s Office.